Meditation is a way to nourish the divine within. You’re about to experience the meditation practice that has changed it all for me. Finally a way to sit still, effortlessly flowing into meditation which leaves you feeling calm, peaceful and radiant! 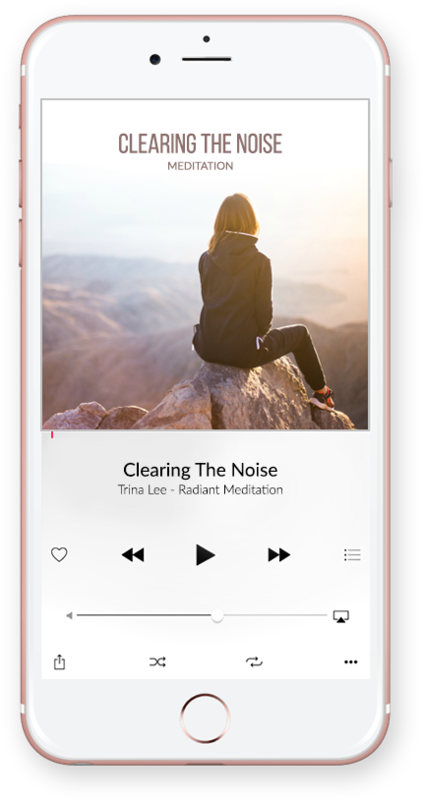 In this 16 minute Radiant Meditation you’ll gently be guided through clearing the busyness of the mind, or what I like to call the noise, which will enable you to flow into your meditative state. Leaving you feeling calm, peaceful and radiant. Below is a quick video showing you the easy EFT Tapping points that are used in Radiant Meditation. Have questions? Or want to tell me how Clearing the Noise Meditation was for you? Fill out the form below.